As outlined in the previous chapter, the workplace setting offers many opportunities to promote health and prevent disease. This chapter explores the role of healthy alliances in promoting health at work. The underlying premise presented is that alliances between relevant professionals are crucial to effect change for health in the workplace setting. Some of the opportunities for, and constraints on, partnership and cooperation between organisations aiming to promote health at work will be discussed. A major focus will be the way in which alliance partners can be involved in determining and implementing health policy at local level in the context of the workplace setting. 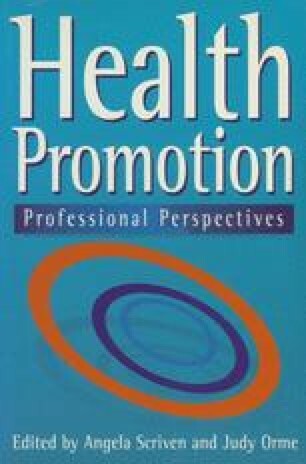 Consequently, this chapter does not examine detailed studies of individual workplaces, references for these may be found in existing reviews of literature on the effectiveness of workplace health promotion (see, for example, Bovell, 1992 and Sanders, 1993).